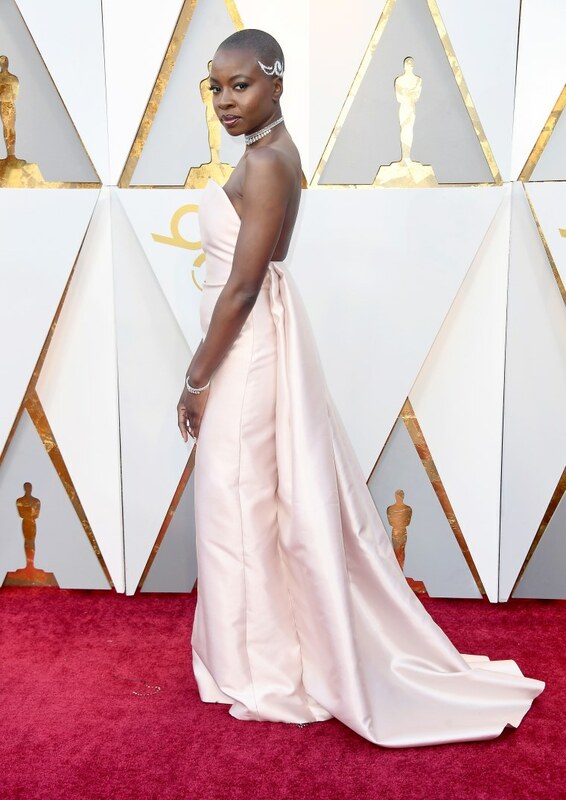 Glittering in gold and shimmering in light pink, Lupita Nyong'o and Danai Gurira looked incredible on the Oscars red carpet. Neither are up for Academy Awards tonight, but are both the stars of Black Panther, which has surpassed $700 million at the box office. Nyong'o is wearing Versace.